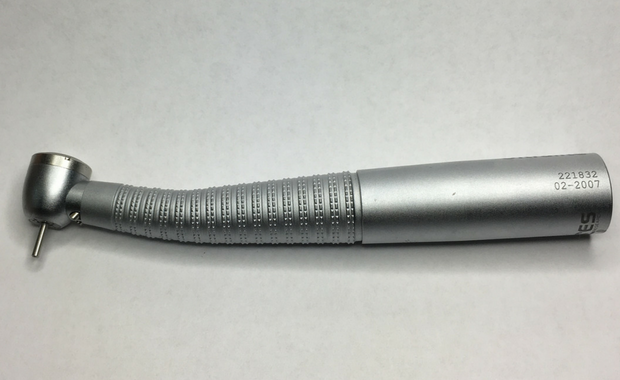 The 757 Workhorse highspeed handpiece has a larger head (13 mm diameter) for heavier cutting. Handpiece comes in light, at 1.6 ounces, for a large, high torque head. The 757 can be purchased with standard 4-hole backend, or 360 degree swivel capability. Lares 757 and Lares 557 uses a very specific impeller design, not found in other handpieces, which makes very efficient use of your stored air supply. This design also provides a very smooth cut with minimal vibration.